This latest Joe Grey mystery oozes with picturesque Carmel charm. Shirley Rousseau Murphy extolls the architectural beauty of her coastal hometown in the thinly veiled story location, Molina Point. The plot revolves around Joe, Dulcie and Kit – three cats who speak to their pet parents and sometimes unsuspecting people. The characters in the mystery that the cats solve are a grandma named Maudie, her six-year-old grandson Benny and, of course, the evil doers. It’s not fair to describe the villains as their identities are the key to the mystery. Keep in mind that appearances can be very deceiving! The story opens with a ghastly double murder that devastates a perfectly lovely family. Benny’s dad, his new wife, her two children, Benny and his grandma are driving up a mountain road on their way to an Easter weekend of relaxation at Lake Arrowhead when a vehicle pulls up alongside them and shoots the dad and stepmom. Chaos follows as their car tumbles off the road and everyone is tossed about. After being rescued, Maudie becomes so distraught that she decides to leave her home in Los Angeles, bringing Benny with her to Molina Point, her childhood home. Joe Grey and his buddies become part of the story when a series of home invasion crimes occur in Molina Point not long after Maudie and Benny arrive in town. Added to the intrigue is the presence of an older yellow tom cat that lurks nearby and seems to have something important in mind. Kit is fascinated by this stranger and makes it her business to find out what he’s doing in town. Kit’s need for a focus in her life seems to be a continuing thread in these books. The home invasions are targeted at ladies who are home alone. They are being viciously attacked by intruders, the interiors of their homes are trashed, but not much is stolen. One of the home invasions happens on Maddie’s block. To make matters worse, Molina Point’s dedicated chief of police, Max Harper, is being singled out in the local newspaper for failing to bring the crime wave to a halt. As usual, the cats are quick-witted and fleet of foot as they race around town just a paw or two behind the villains. 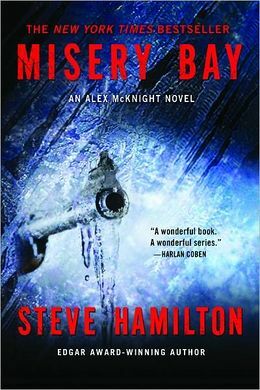 Whether the setting for a mystery novel is a big city or a small town, human frailties are usually at the core of the story. This tale (or tail) is no exception. 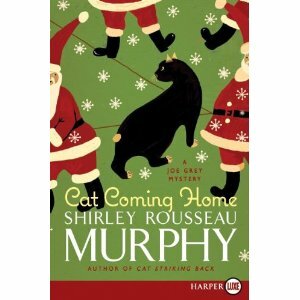 Author Murphy does a wonderful job of developing her characters and providing insight into human nature and feline nature as well. She refrains from rehashing the premise of her Joe Grey series which allows for more action and intrigue. This review was written by Ruta Arellano. This book was purchased for the reviewer.